Few online casinos have embraced the concept of the ‘adventure casino’ quite like Casino Heroes. Every slot you play and every ‘treasure’ you activate contributes to the wider story of your time at the casino, and more specifically your journey around the Casino Heroes world. You even choose an avatar character, whom you then negotiate through various challenges and adventures. The boss fights come thick and fast, as do the opportunities to pick up bonuses. It’s an engaging experience that will please players who appreciate some continuity from their online casino play. This is the first time I’ve written about this online casino and, indeed, the first time I ever played here too. Here’s what I made of it all. The registration process is easy. You proceed via the Casino Heroes login through a two-page form, verify via a text message code to your designated phone number and then you’re asked to pick an avatar. Many of the characters featured in those have been clearly, erm, inspired by some famous films. ‘Indy’, the Stetson-wearing adventurer and Lara the actual girl who likes to ‘raid from region to region’ are quite thinly veiled. Gandalf the Wizard and Yoda the little goblin (will the word ‘goblin’ upset Star Wars fans there?) are both quite blatant. Once you choose your character, you are taken through an introductory story, which you can skip if you like. I really liked how they put the games right in front of you, and it was indicative of how easily clickable the Casino Heroes site is. It’s like a storyboard, you just follow the adventure and you can’t really go wrong. If you just want to play games in a straightforward manner, you can just head to the ‘Play’ section of the site as well. Whatever your thoughts on Adventure Casinos, they do tend to look undeniably snazzy. The teams behind the likes of Kaboo and Casumo have taken great care to create engaging, immediately recognisable worlds. Casino Heroes has very much followed in the same tradition. It’s been around for a few years now but it arrived as a well rounded concept. Although the design team continue to evolve and improve upon it, the premise and overall look of the site is still largely the same as it was on day one. You ‘control’ a little character as he or she ventures around a map. As you complete challenges and defeat bosses, you unlock new parts of the map. Casino Heroes’ world is bright, vivid and unashamedly cartoon-themed. The map is really detailed and the although the boss fights tend to be quite basic (you don’t see your character duelling with the enemy as such), they’ve created a hell of a lot of quirky creatures to help feed the theme. Leaving the adventurous theme aside too, the games grid is nicely constructed while the in-game portal is simple but very effective. My only slight grumble relates to the ‘serious’ pages. 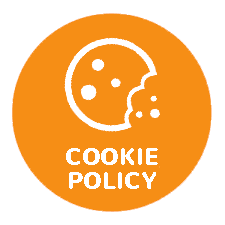 With all the creativity on display elsewhere, they could have injected a little bit of life into the terms and conditions page (and similar bits of the site), much like Casumo did. It’s just blocks of boring, legalese style text. Sites are capable of making them easier to read, and Casino Heroes have all the tools to do so. IS CASINO HEROES EASY TO USE? This is a difficult section to construct when discussing an adventure casino because of the wording in the subheading. By their very nature, adventure casinos are more complicated than more traditional ‘classic’ casinos. Casino Heroes has a story to tell and challenges to complete. It’s not a case of spinning one game then moving onto the next. But Casino Heroes have done well. They’ve incorporated all that potential ‘complication’ into what remains an intuitive, seamless experience. It helps that they use a map to guide your character through the adventure. That provides a clear focus and allows you to easily track your progress. Much of that progress is achieved through ‘fights’ with big bosses, which reminds of 90s console games like Sonic and Mario Kart. You’re clearly told what you need to do to reach the next boss, and a handy bar helps you keep tabs on progress. Casino Heroes games are a formidable suite of adventurous themed titles. They often set challenges that are linked to individual games so it’s easy to jump from slot to slot while completing those. If you want to browse instead, you’ll find an extensive collection of slots in the ‘Play’ section. The game’s grid features a simple design with square thumbnails arrange against a blue background. Casino Heroes have split the games into some basic categories, but that’s about the extent of their organisation flourishes. The slots section is crying out for some filtering options. I’m both surprised and frustrated that they haven’t included some, especially given the volume of games they’re hosting. Indeed, the collection includes a pretty much complete batch of NetEnt games, MicroGaming and Play N’ Go slots. Throw in a solid selection of Yggdrasil, Quickspin, Playson and Push Gaming to supplement the really big boys as well. Many of the industry’s biggest progressive jackpot games also make an appearance including record breakers like Mega Moolah and Mega Fortune if you want to spin for millions. Casino Heroes doesn’t offer a live casino but they do have a sizeable collection of video poker, roulette, blackjack and other table games when you fancy a break from slots. You’re definitely not short on choice, we just wish that they developed some better filtering options. Perhaps this is one area where the adventure casino falls short. No deposit free cash is a rare commodity these days. Even free spins no deposit seem to be on the wane, but the chances of you picking up a nice wad of real money without handing over your cash of your own are super slim these days. 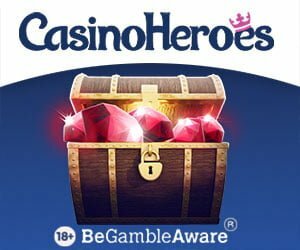 I was surprised, therefore, to learn that Casino Heroes was offering £5 free cash without deposit to new players. Unfortunately that Casino Heroes no deposit bonus offer is now replaced with a deposit bonus. Adventure casinos are designed to be more immersive and engaging than classic casinos. That’s the whole idea. You keep coming back because you want to turn the next page of the story. And the only way you can do that is by spinning slots. They don’t work at all if the story isn’t very compelling. Casino Heroes avoids that trap though. The trick is to create something that’s complicated enough to be considered adventurous but simple enough to follow easily. Isn’t that what the best console adventure games are about? The rewards, challenges and prospect of a ‘fight’ against the next boss (which itself leads to bonuses and gifts) should keep you coming back for more. The Casinos Heroes team are banking on it. The team has done a stellar job with Casino Heroes mobile version. I’m always a bit concerned when the more complicated adventure casinos adapt their concepts for handheld devices, especially smaller phones. There’s no need to worry on this occasion though, in some ways the ‘map’ of the Casino Heroes world looks even better on smaller screens. You’re more zoomed in on the detail and can easily navigate your way around. They’ve done a great job with it. You can play the Casino Heroes mobile casino from all manner of Android devices, as well as iPhones and iPads. The site is fully optimised to fit all screen sizes and there are times when you forget you’re playing at an online casino rather than on the latest app-based game. All the challenges, rewards and boss fights that feature on the main website are retained on the mobile sites so you can enjoy the same level of experience when you play on the move. It’s one of the most impressive small screen adaptations I’ve seen. I have managed to put aside my bias for the Casino Heroes review and state It really is a beautifully constructed playing experience. I tend to lean towards traditional sites rather than adventure casinos because I just like to get on with playing games and hopefully winning some cash. Platforms like Casino Heroes are capable of changing my playing patterns. It looks fantastic both on desktop and mobile, it sounds great and the gameplay is genuinely immersive. I do think they could do more with some of the boss fights but that’s a very minor criticism. The Casino Heroes team have created an online casino that plays like RPG computer games at times. 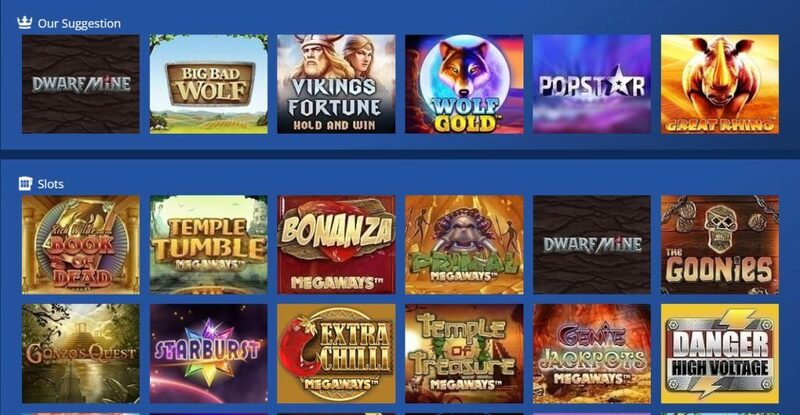 As mentioned in the review, this is not one of those casino sites full of bonuses, it is have a site for a highly interesting gaming experience. Minimum deposit and withdrawals is £10. Adventure gamers rejoice, Casino Heroes have you covered. Be the first to review and rate Casino Heroes!